Last night, I was invited to eat with some lovely friends and so offered to bring sweets. The brief was simple; chocolate (that is, kid friendly) and gluten-free. I contemplated my Pinterest food board for a while but nothing seemed right (which made me wonder, does anyone use the recipes/ patterns/ other that they pin or is Pinterest just a place to daydream?!) and so I went back to a very favourite recipe. This is the cake Scotto and I made for our wedding. And yesterday, it was twelve years since we started going out! So it was a lovely way to celebrate that and seeing good friends. 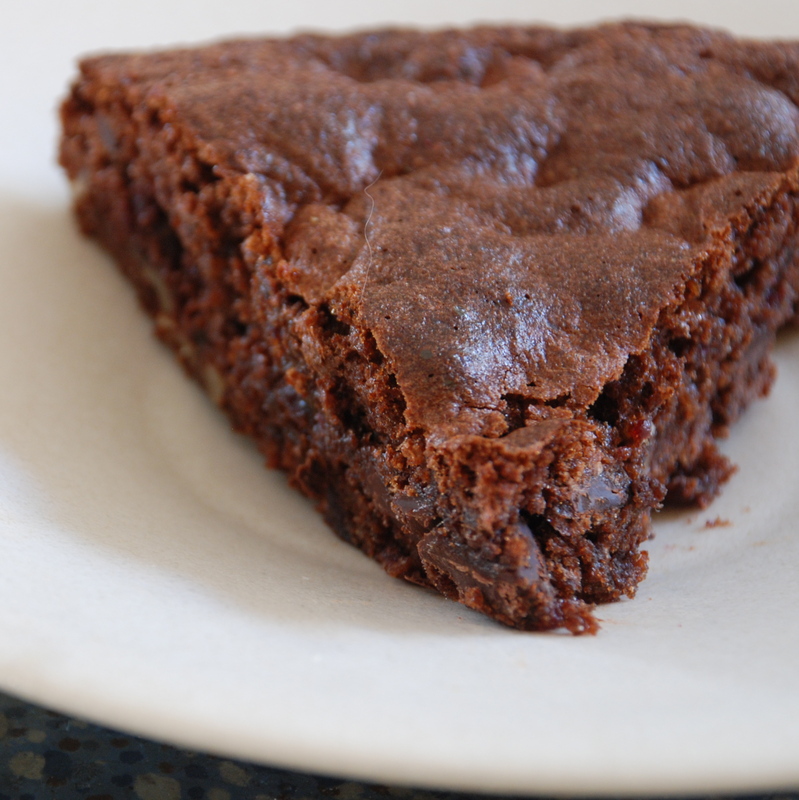 The original recipe was the Date-Nut Torte from the Moosewood Cookbook, a low, dense, chewy cake that relies on whipped egg whites and just a bit of flour for texture. After various modifications and lots of tasting, we added in bitter chocolate, dried figs and some really good quality crystallized ginger- and it was a hit at the wedding! I’ve made it quite a few times since, using what I had in the cupboard- as long as you get the batter right, the rest always seems to work. 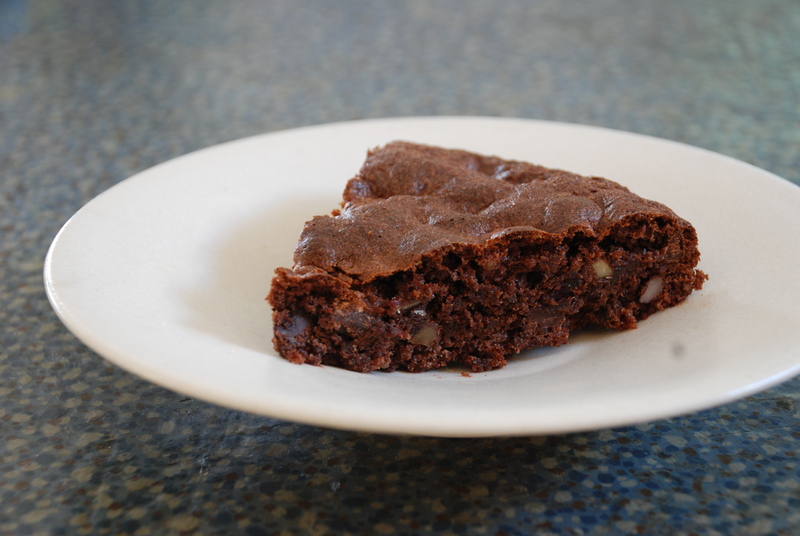 This time, I used dates, chocolate and walnuts and replaced the 1/3 cup flour with a combination of cocoa and almond meal to make it gluten-free- which definitely made it quite fudgy. Preheat oven to 170C and grease a 20cm round springform cake tin. Beat egg whites and salt to stiff peaks and set aside. Beat egg yolks with sugar and vanilla until thick and creamy. Stir dry ingredients into egg yolk mix, and then mix in dates. Add 1/4 of egg whites into batter and fold in gently, then fold in remaining whites, just enough to combine. Pour into pan and cook for 40-50 minutes until the top is springy. This cake will always have a moist centre; avoid drying out the outside by leaving it too long in the oven waiting for the skewer to come out clean! Serve with cream or ice-cream, ideally something with some bitterness or spice to temper the sweetness of the cake; I’d like to try it with one of these next time! 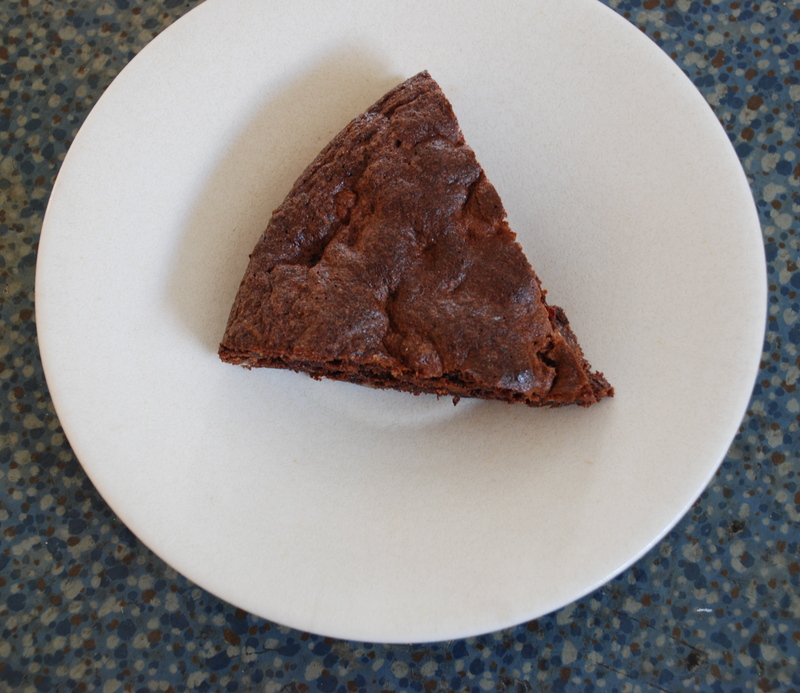 This entry was posted in community and tagged cooking, date-nut torte, gluten-free, moosewood on September 17, 2013 by admin. Yum!! Need to try this. It is delicious! Thanks for making and sharing the recipe!